Michigan's third and current official flag was adopted by the state Legislature in 1911.The flag features the state seal on a blue field. The seal has a moose and elk supporting a shield with a picture of man waving on the shores of Lake Michigan with a sun rising behind him. Tuff Flags has a complete line of Michigan Flags that range from the compact models of 3’x 5’ to the massive flag sizes of 8’ x 12’ and everything in between. Our commercial gradeflags carry 6 months guarantee on construction and are made 100% in USA. If durability is your key, choose polyester flags while nylon flags will make a better choice for low and medium wind conditions. Our Indoor flag kit will be a perfect choice for anyone who need to put up a spectacular flag display in the shortest possible time. 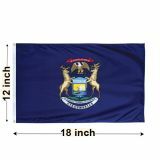 Shop from our complete line of Michigan Flags right away and avail the best prices, quick shipping and much more! 100% customer satisfaction guaranteed! 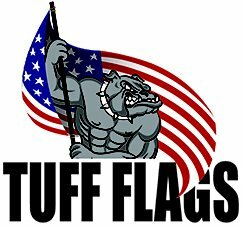 Michigan Flags from Tuff Flags will be the best way to show your state pride and to celebrate the spirit of Michigan. Our single face reverse Michigan flags finished with heading and grommets look great and last long and will impress your guests right away. Imprinted with color fast and fade resistant Dupont inks, our Michigan flags can be reused many times or can be used as a daily fly flag as well. Reinforced with lock stitching, these flags will ensure even outdoor weather elements with ease. Choose from outdoor flags, indoor flags or indoor flag kit to match your flag display needs. 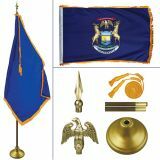 Browse our complete line of Michigan Flags and choose a model that suits your needs. Not sure which model is right for you? 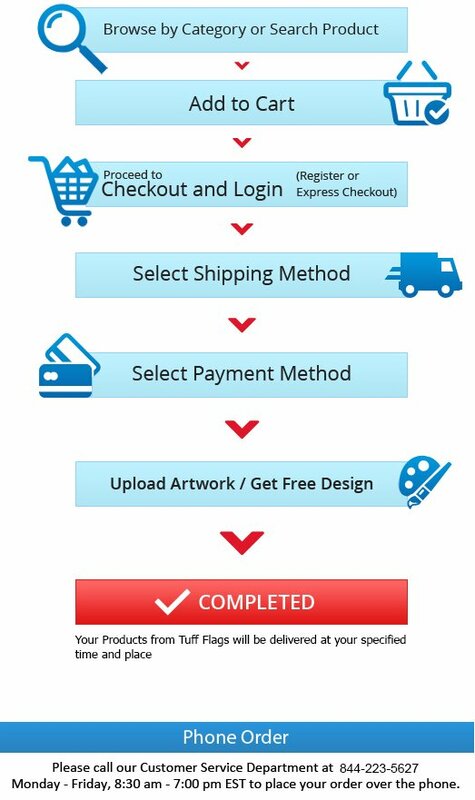 Callus at our toll free number (888) 287-3524 or email at customercare@tuffflags.com and we can walk you through the ordering process easily.